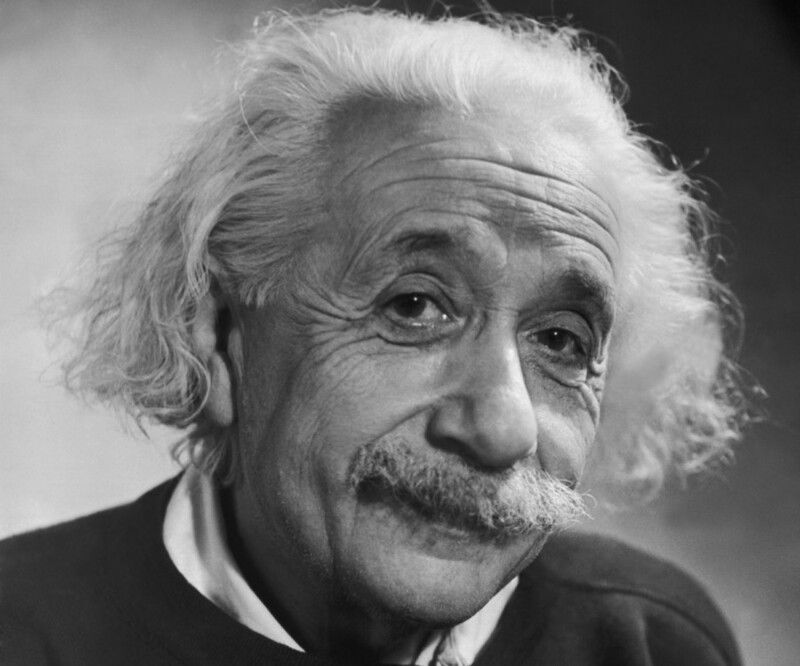 On the 100th anniversary of Albert Einstein’s discovery of Relativity it is debunked. As we celebrate the 100th anniversary of Albert Einstein’s discovery of Relativity, it’s hard to recall the mixed greeting it received. Example 1: Often just when a guy finally gets the courage to lean over and kiss his date, she simultaneously averts her head so that he kisses her chignon. This has happened to me dozens of times. Indeed, decades later I still have strands of my wife’s hair caught in my incisors. Example 2. If a relative decides to “help your image” by buying you some trendy clothing, you can bet the fashion will vanish immediately. This happened to me in sixth grade, when my mom bought me a sports coat without lapels. Whether this was a bona fide style, or some clothier’s mistake, I’ll never know, because the day after I got one BOOM, those blazers disappeared (except mine: I had to wear that collarless jacket until I outgrew it two years later – God bless French fries and milkshakes). This is easily proven by applying seductive reasoning to Einstein’s famous equation, E=mc2, which demonstrates that energy and mass are really the same (no wonder they’re never seen together! ), except you make more money generating energy. THEREFORE, Socrates travelling at light speed would not be an island but would attain infinite mass. THEREFORE, any person traveling at light speed would not need to diet. THEREFORE, an object traveling at light speed is not Socrates, may possibly be an island, and would not attain infinite mass. The paradox, said to follow from Relativity, is this: Suppose you have a twin with whom you’re nearly identical: same age, waistline, receding hairline, magazine subscriptions, etc., except you wear a blue ascot. Now suppose your twin boards a rocket that will take him on a round trip to Arcturus (coach class), 33 light years away, at almost the speed of light. Traveling at 99+% c (where “c” represents the speed of light plus certain water-soluble vitamins), all time processes within the rocket will have slowed greatly, similar to what happens when you visit grandparents. As a result, when your twin returns 66 years later (your time), he will have aged only a day! Thus, predicts Relativity, your twin will be younger, more virile and (despite having the bone density of a jellyfish) get the good women. Yet that can’t be right, because you have the blue ascot! So again, casual observation disproves Albert’s supposedly revolutionary theory. A sad ending for the man who, single-handedly, made “mushroom cloud” a household phrase. Or was that “mushroom soup”? An earlier version of this essay appeared in Amazing Stories (Vol. LXVI, No. 11).